Google scholar suggested a paper for me to read, I opened it and boom it was my master thesis work. My work was based on Arabic language but they claim their work is based on Telugu language. Even they did not bother to change the title. they just switched the Arabic to Telugu. Not only that, they even did not bother to change the experiment results numbers or the figures. They copy/pasted everything with small minor noticeable changes. I tried to contact the journal but I could not find any contact details for the editor. What should I do now? I have contacted the journal's editor and as expected, no reply. I have also contacted Google via the link provided by Stig Hemmer and they have thankfully removed the links to the papers from Google search results after asking me to identify the exact content that I claim infringe upon my copyright. When I contacted the journal editor, I have sent a carbon-copy to the papers' authors to let them know I am aware of their plagiarisms. Nobody replied until Google removed their papers from the search result and put the following statement instead. Then, one author contacted me claiming that his student stole my work without his knowledge and that he would take the right measure to ensure pulling the two papers from the journal. I hope this gives hope to anyone who has been a victim of plagiarism. You should not give up and you should stand up for your self and your work and God will assist you. Thank you for all your comments, pieces of advice, and direction. I would not have been able to protect my right without the StackExchange community guidance. The reason you saw this article was that Google Scholar picked it up. Other people will also get the same notification and some of them might be fooled. I am worried that somebody actually interested in Telugu might get misinformed. My suggestion is telling Google about this. They want Google Scholar to be as accurate as possible and might at least stop giving references to this journal. Anybody can publish anything on the Web, but if Google doesn't link it, nobody will read it. I was unable to find a contact address for Google Scholar directly, but Google has a general contact page for stopping copyright violations which should be close enough. I have this one paper that has already gotten copied and submitted to some spam journals 5+ times. It literally happens multiple times per year (it has a catchy title that seems to appeal to a certain class of plagiarizers). I also usually learn about this through a Google Scholar alert. The first two times it happened, I tried exactly the steps recommended by other answers. I contacted the authors (no reply ever), raised a stink with the journals (no reply ever), and contacted IEEE (the copyright holder of my original paper). IEEE indeed did react that they will look into it after quite some time, but nothing ever came out of it. My lesson learned was that these things are basically impossible to fight. The authors or journals could not care less about ethical integrity, and for IEEE the measurable damage of one of their papers being "reprinted" in a different title and with slightly different words in an obscure scam journal that nobody ever reads is not large enough so that they would make an effort hunting down who is legally behind these shopfront journals. The good news is that it is also completely irrelevant to you. I can assure you that your scientific contribution will not in any way be lessened by this paper existing, nobody will read the other paper (because nobody reads these "journals", period). For future promotions etc., the existence of this paper will not be in any way an issue for you. Science as a whole suffers (to a degree that we could argue about), but the fact that it happened to be your paper that they copied (as opposed to a paper by me, or somebody else) makes no difference at all. The WORST thing you can possibly do is contact the so-called author, the plagiarist himself. Don't do that, regardless of what Alone Programmer suggests you do. By so doing, you will spur him into adverse reaction and he will swiftly file false complaints against you before you ever file yours. He will have your online works removed, if you ever approach him. That actually happened to one honest academican whom I avidly follow for his works. His plagiarist was ruthless in removing his victim's works online and so made the wrongful accusations and succeeded. Nowadays, most serial plagiarists are experienced with strings of past complaints against them. They are ruthless, sophisicated and cunning and they are always steps ahead of their victims. Avoid contacting the plagiarist and play safe. Take your complaints somewhere else. Try Google Scholar's complaint board. Contact the journal editor with complete details. If at all possible, have your advisor do the same thing, making a complaint on your behalf. An official from your university could also make a complaint. Sometimes very similar things can occur from parallel research, but that seems to not be the case here. But having someone else in authority back you up can help. If the affiliation of the other person is listed, perhaps a complaint from your institution to theirs would be appropriate also. First, find an established academic who can help you make the complaint. Your masters thesis advisor would be the most obvious person to ask; but if there’s someone else you’ve worked with who you know better or trust more or who is better-known, they could also be a good choice. You want someone who (a) is an established academic in the field, and (b) can support your claim that you did this work in 2014. Get as much proof of priority together as you can. If the department where you did the thesis already publishes its masters theses online, then that is ideal. If not, look for any public information corroborating the date and title and as much more information as possible — e.g. an announcement of the thesis defense/presentation, or similar — and perhaps also ask someone senior at the department (e.g. the head of department at the time) for a signed letter confirming that this is your thesis, given in 2014. These people may also offer you further advice and assistance with making the complaint — if so, great, and take their direct knowledge over the rest of this suggestion! With those prepared, make your complaint, and escalate it as necessary. Each time you make the complaint: state the facts, and mention and cc the established academics who can back up your assertions. The journal editors are the first people to write to: email addresses are given at http://www.j-asc.com/EDITORIAL-BOARD/. However, the journal looks low-quality at best and probably outright predatory, so I would not be very hopeful of getting results there. Next, I would try writing a formal complaint to senior figures in the department(s) of the authors of the plagiarising “authors”. It may also be worth writing to the authorities that have certified/recognised the journal as legitimate — or at least telling the journal editor you intend to do this. I would not suggest contacting the authors. That would be the polite thing to do if there was any chance that they might have made an honest mistake somehow; but their paper is such egregious plagiarism that there’s no question they’re acting in good faith. This is like finding video proof that someone has burgled your house: you don’t need to politely warn them, you take it straight to the authorities. Overall: there is a large ecosystem of dishonest research and publication, parasitic on legitimate scientific institutions and funding structures. While you are writing to people within that, they are unlikely to help you for your own sake. But if you escalate far enough, you will reach a legitimate institution who should hear your concerns; and more practically, if you say that you intend to do this, then people in the sketchy part of the system may be willing to help you for the sake of protecting their own credibility (and you will help push them to be a little bit more honest in the process). I think this became very normal nowadays. 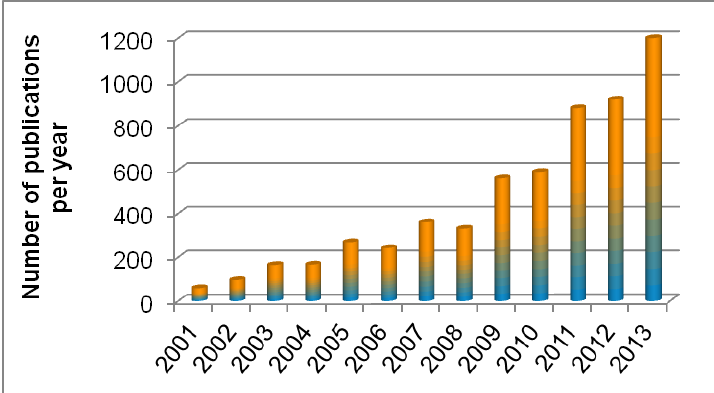 I heard, that the number of publications doubles every 12 years. I just found data for certain fields where it's actually much worse. Consequently, the quality goes down by more than the increase modifier. Journals do not care if you send them a mail that experiments are not reproducible and why. People start to publish old PhD or master thesis works by using scripts. Peer-Review became more and more useless to the point were the reviewers often do not understand real issues and mis-interpret pro-arguments because they are maybe just inexperienced students. Scientists startet to send work to fake journals. This is all fueled by three things. 1) There are thousands of PhDs entering their own publication phase every year. 2) They have pressure to publish anything within 3 years to get out of this phase. 3) At least in my country, there are no not-time-limited PostDoc positions in my age class. So the pressure is forwarded to the next hierarchy level. Solution to your problem: The whole system is broken and needs an update. I expect that the publication rates will further increase, review process will become worse. One day, it will be close to impossible to find any valuable information in any recent paper. 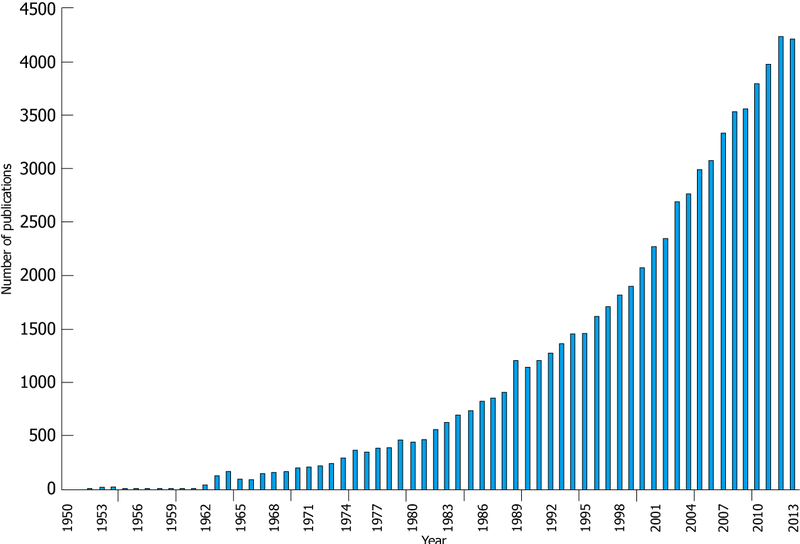 Number of publications per year containing the term "PTR-MS"
Not the answer you're looking for? Browse other questions tagged thesis masters plagiarism or ask your own question. Can I use my own paper for own thesis? Is it okay to copy paste some part of my Bachelor's thesis literature review for my own Master's thesis? Do people still have to write thesis after finishing their master/phd?